The past few days have been warm, bringing back summer for one last hurrah! For me, the late part summer is characterized not just by pumpkin spice lattes, scarves, and the crispness in the air. There are a lot of other layers to the end of the summer. Harvest is one of them, both from the fields and also from the garden. 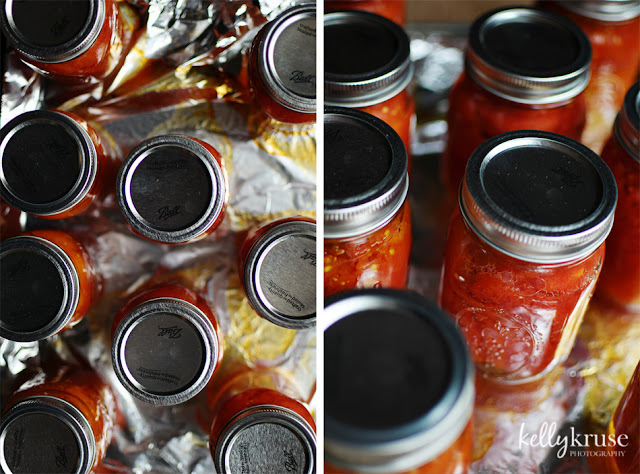 As the threat of frost encroaches and with the blessing of lots of tomatoes, we always canned a lot of stewed tomatoes and salsa during this time of year when I was growing up. I've missed out on parts of the process for the past few years, being away from home, but this year, I have had a garden, and it has helped so much with the pangs of homesickness. Even though I didn't really have enough tomatoes to can, my parents came to visit a couple of weeks ago and we went to the farmer's market and got some lovely tomatoes. My parents and I proceeded to can them (let's be honest, Dad did most of the work!) and it felt like old times. I always feel so much more settled into a new place or a new home (Ayron and I moved in July) when my parents come to visit. Mom and Dad, thanks for being such amazing parents and for helping me hold onto summer just a little while longer. When it is below zero outside, I'll remember the garden and that weekend while I'm enjoying homemade tomato sauce or Italian potpie with those tasty tomatoes!